Tata Zest gets a new design language that has been adopted by the company, giving it a more bolder and modern look. 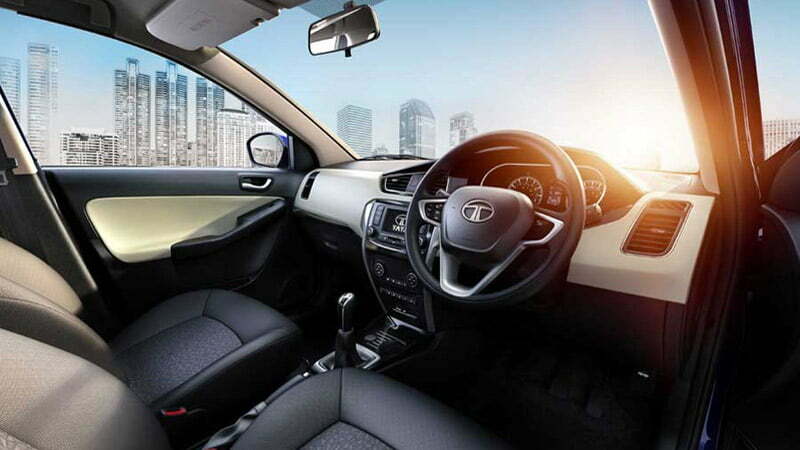 The interior of Tata Zest is elegant and probably the best in any car from TATA so far. 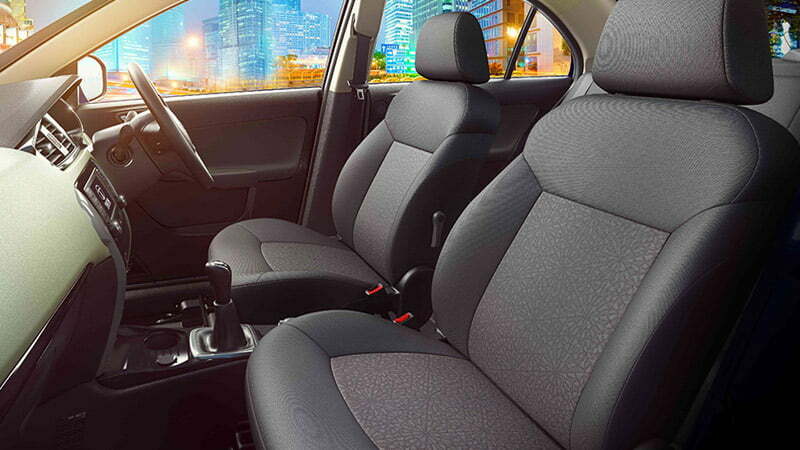 Tata Zest has ergonomically designed seats with excellent back and thigh support. 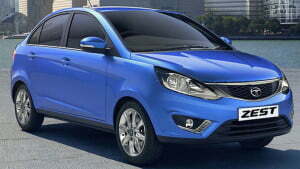 Tata Zest is a new model from the company and is placed in the lucrative sub 4 meter category of cars. 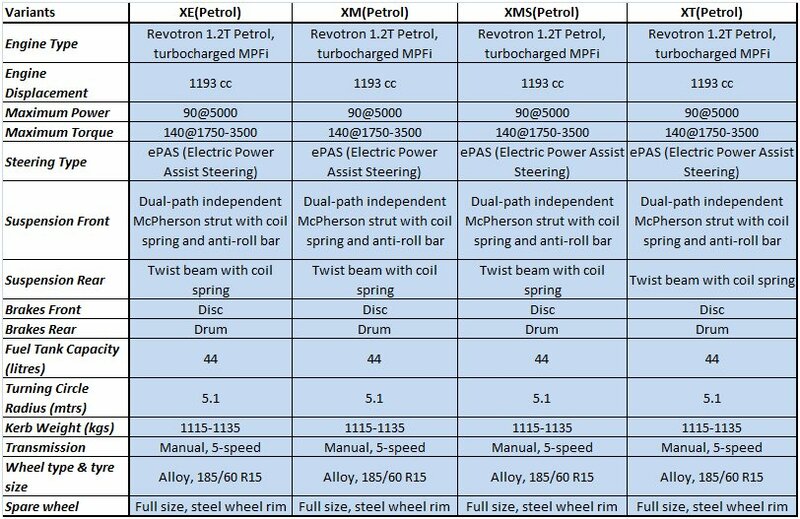 It gets both petrol and siesel engine options and is developed to compete with the Japanese and Korean car manufacturers in terms of quality, performance and reliability. In 2008 Tata introduced “Indigo CS” in sub-4 meter segment which did fairly good but over the years failed to make a decent place in the market and got outdated due to tough competition from Honda amaze, Maruti Dzire and Hyundai Xcent. 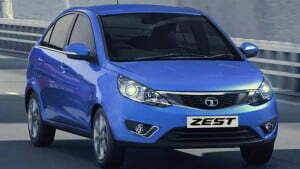 To stay in competition Tata has now introduced Zest, a sub-4 meter sedan in petrol and diesel variant. Tata Zest is built on the X1 platform, the same which is also used in the Vista hatchback. 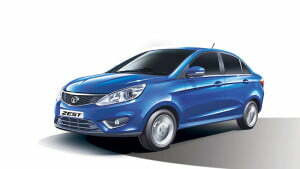 However the car does get extensive re-engineering as claimed by the company. Zest has some promising features than its competitors which will give it an edge for prospective buyers. 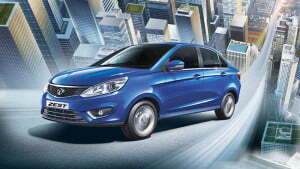 Tata Zest gets a new design language that has been adopted by the company, giving it a more bolder and modern look. Well this new car is definitely the most stylish sedans from Tata Motors till date, which should give a positive hope among the buyers who otherwise had always been complaining about the outdated design trends adopted by the company in the past. This time it looks like the designers have put in some effort to give the car a remarkable look, especially when it comes to the front view of the car. The front end of the car is defined by a relatively long hood and large parabolic headlamps. 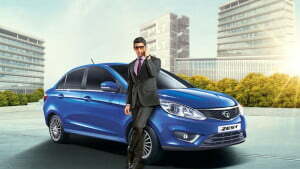 We can see honeycomb design grille with the company badge at the centre. 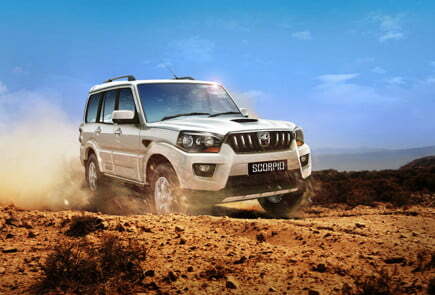 The grille gets chrome lining both above and below it, the one on the lower side appears to flow into the headlamps. This headlamp features a cluster of first in segment project headlamps along with the turn indicators. As you look below, you will find another reason to get impressed because of the new stylish LED Daytime Running Lights (DRLs) placed inwards from the Fog lamps. However this feature will be available only the top variant (XT model), the mid-variants will have chrome accent on foglamp instead. Other than this the front profile is marked by a distinct bulge at the centre, which again curves up towards the edges. The side profile is marked with three distinct lines, one starting aft of the front wheel and ending before the rear with an inclination. 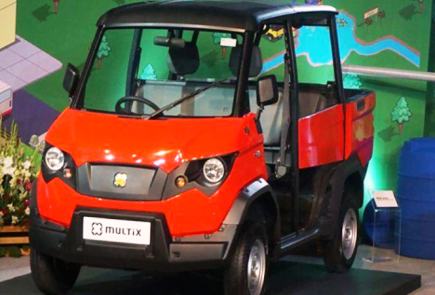 The second one, which is more profound shoulder line- starts above the front wheel and is carried all the way till the rear taillamp and the third one which is carried all the way from the edge of the front headlamp the top line of the rear bonnet. OVRMs which has the body colour, get integrated turn indicators. 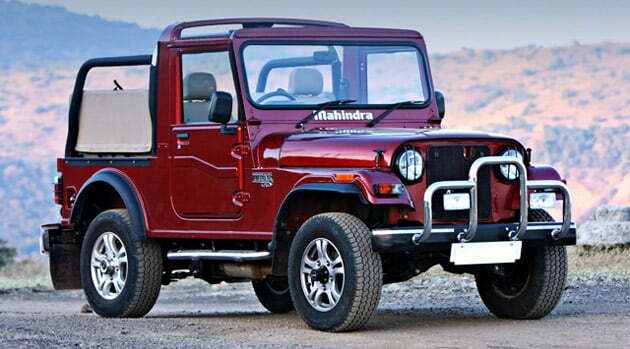 Other than that visible features on the sides includes 15 inch alloy wheels with different design of rim both for the diesel and the petrol variants. Finally the rear also gets a stylish set of features which includes the wraparound design of LED tail-lamps, centre mounted rear foglamp and four parking sensors. 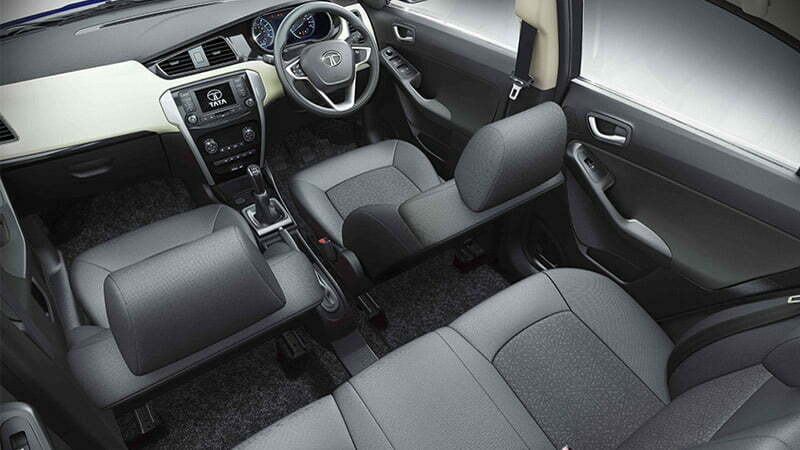 The interior of Tata Zest is elegant and probably the best in any car from TATA so far. 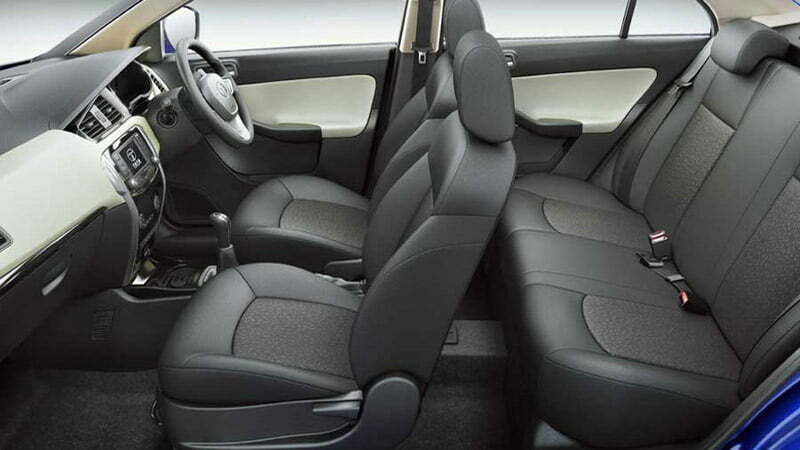 The combined height of the car along with the fairly high seating position makes it easy to get in and out of the car. 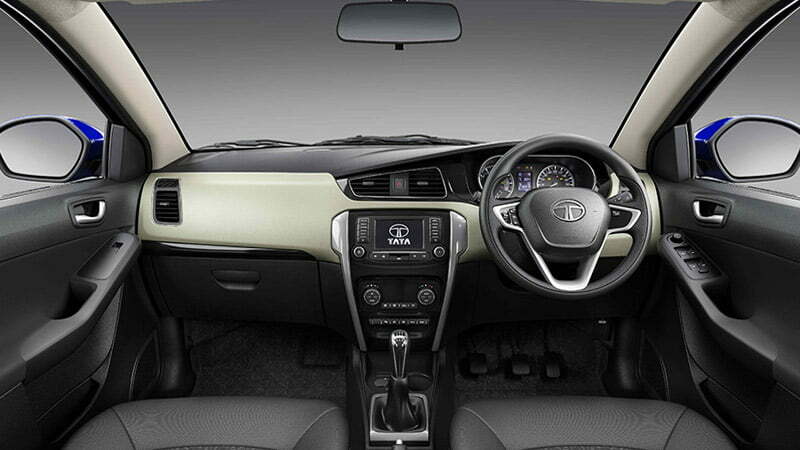 To start with the dashboard, one can easily find that there is a major difference in its looks compared to any of the previous TATA models. It gets a fresh look with the black + beige theme, silver detailing and sparkling black accents that makes it a lot more upmarket than the Vista or Manza. There’s more of a European touch to the colour palette, knurled knobs and switches (with embedded amber & green LEDs) than a Japanese or Korean one. 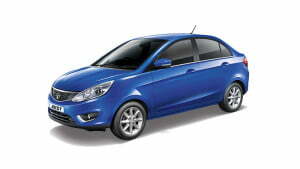 The car gets a new generation Tata’s signature 3-spoke steering wheel with multi-functional switches. Central consol is provided with Harman Developed 5” touch screen head unit to provide excellent sound quality. Instrument cluster is rightly placed and look upmarket and stylish. MID shows clock, distance to empty, FE and outside temperature reading. The instrument cluster, all the buttons on the center console and the power window switches are illuminated with the same clean white back light. 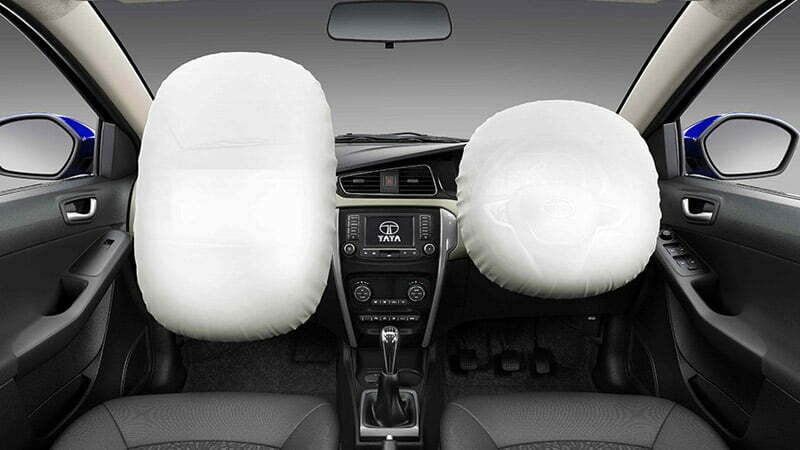 Tata Zest has ergonomically designed seats with excellent back and thigh support. 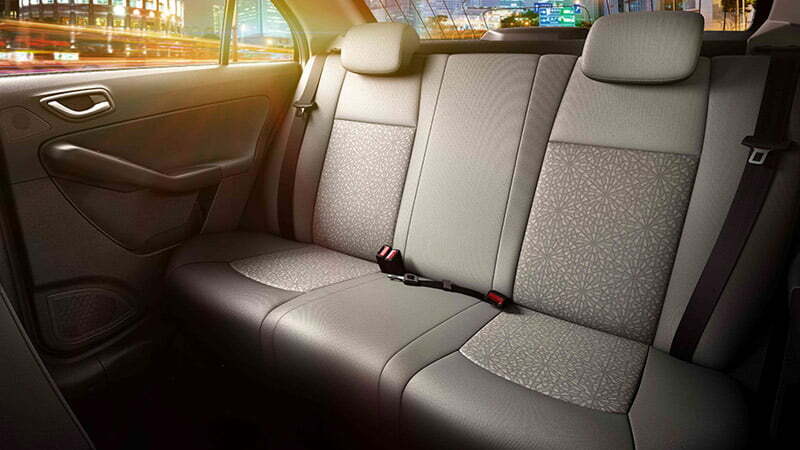 There are integrated head restraints and are covered with good quality fabric upholstery. A 5 passenger seating (2+3) arrangement is provided, which should be sufficient for a modern family in our country. Other notable features inside includes driver seat height adjustment, climate controlled AC, door cup holders, Steering mounted audio controls, spacious glove box, height adjusted front and rear seat head rests, and a huge boot space of 390 litres which is bigger than the one in Suzuki Dzire. Petrol variant of Zest is provided with India’s first 1.2L turbocharged Revotron MPFi petrol engine which produces 140 Nm between 1750-3500 RPM respectively. The Revotron engine is almost lag free and pulls effectively from low revs which makes it better for city driving in traffic condition. Revotron gives ARAI mileage of 17.0 Km/L. 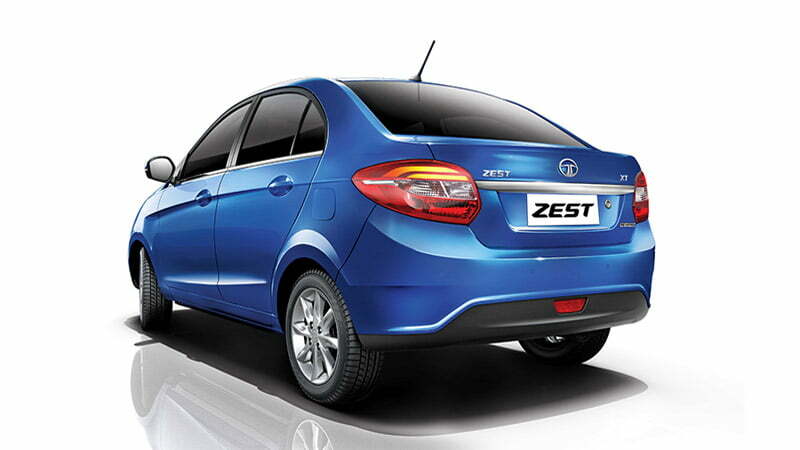 Zest engine has three drive modes ECO, City and Sport mode. On choosing specific mode ECU changes power setting to either cruise or fuel economy. NVH level are very low due to effective cladding and sound deadening and insulation provided on fire wall. 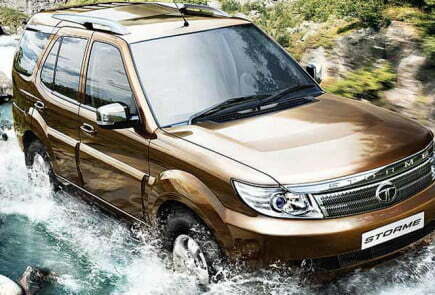 Diesel variant comes with proven 1.3L Fiat sourced Quadrajet engine with multiple turbo variant. 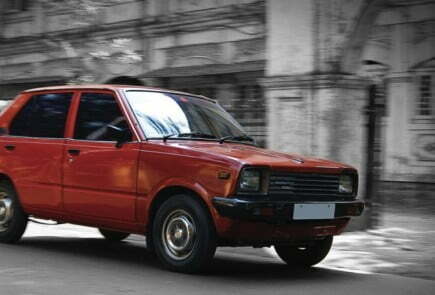 This engine with 5 speed gear box has proven track record over the years giving ARAI mileage of 23.0 Km/L. Top end model comes with AMT (Automated manual Transmission) with no clutch pedal makes it almost like conventional automatic. 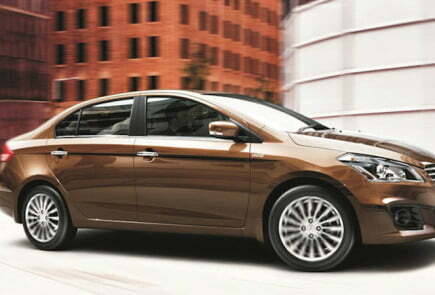 The ‘Diesel+AMT’ combination makes driving experience more pleasant and smooth. Tata Zest is provided with efficient braking and robust suspension mechanism. The suspension in the vehicle is tuned to eat potholes and bumpy roads without much fuss and offer comfortable back seat ride. The 15 inch alloy wheels with advanced 9th generation ABS (Anti-lock Braking System) and EBD (Electronic Brake-force Distribution) gives more stability and safety in case of panic hard braking. Speed sensing auto door locks instantly lock the doors as car pick up the speed. The touch screen display gives precise visual of rear area and rear park sensors helps in parking and reversing the car safely. Top end variants are provided with dual SRS airbags to enhance safety of driver and co passenger.